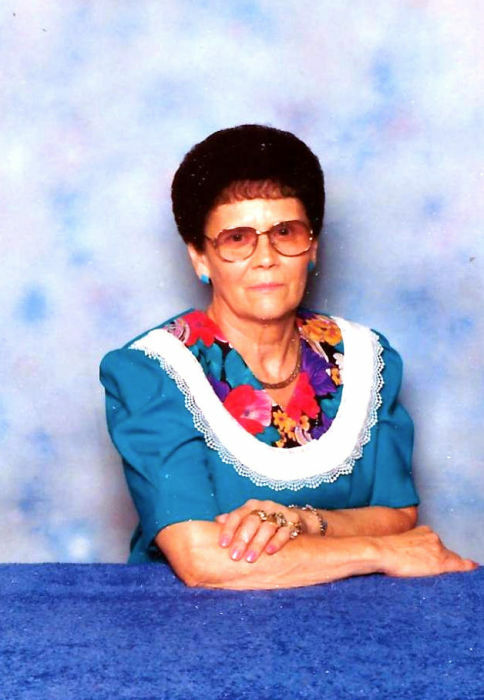 Alberta Jean Conn Blackburn, age 92, of Drift, KY, widow of Walker Blackburn, passed away on Monday, February 11, 2019 in the Greg and Noreen Wells Hospice Center, Hazard, KY. She was born September 26, 1926 in Printer KY, a daughter to the late Maryland and Mary Branham Conn. She was a homemaker and member of the Drift Pentecostal Church. She is survived by three sons: Ronnie (Helen), Michael and Terry Blackburn, all of Drift, KY, four daughters; Brenda (Mac) Bolen, Drift, KY, Freda (Ray) Hagans, Langley, KY, Linda (Donald) Shannon, Drift, KY and Sherry (Virgil) Paige, McDowell, KY, two brothers; Maryland Conn, Jr, Martin, KY and Virgil Conn, Allen, KY, one sister; Susie Rickman, Munith, MI and a host of grandchildren, great grandchildren, great-great grandchildren and great-great-great grandchildren. In addition to her parents and husband, Walker, she was preceded in death two sons: James Herbert Halbert and Jack Conn, three brothers; Ike, Arthur and Fred Conn, four sisters; Myrtle Marie Hall, Polly Conn, Margie Greer and Artie Rose. Funeral service for Mrs. Blackburn will be conducted at 1:00 PM on Thursday, February 14, 2019 at the Drift Pentecostal Church, Drift, KY with Ted Shannon officiating. Burial will follow in the Drift Cemetery. Visitation is 6:00 PM on Tuesday at Hall Funeral Home and after 11:00 AM Wednesday at the Drift Pentecostal Church under the kind and professional care of Hall Funeral Home, Martin, KY.